Spa in Bali today has grown much better. The spa service providers provide very attractive offers among its competitors. They each present their best recipes in offering spa in Bali. Although sometimes frequent spa businesses went insolvent, but also many new entrepreneurs emerging. Bali spices in very many kinds. All the spices in Bali has diverse use value, which is now often used as a basic ingredient spa. In general, the use of spices in Bali, is used as a spice in cooking, medicine, and therapy. This was often done by the Balinese. And this time, the spa is the most popular. Because the spa in Bali is about providing a great advantage. 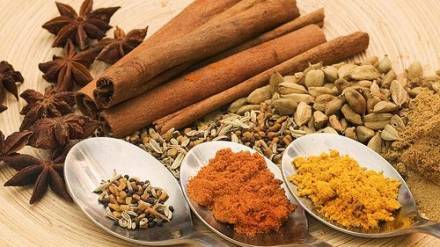 Currently spices have been used as the base material for the manufacture of herbal and herb spa. Many entrepreneurs in Bali using traditional herb spices as ingredients to be used very spa scrubs. They each present the finest ingredients and secret recipes, for offered to the tourists who come to Bali. Efficacy in the use of spices to the spa is very diverse. But all of that is aimed at giving out a sense of relaxed and refreshed on the body during and after undergoing a spa. But in general, the use of spices in unison in Bali, its to warm skins. And now thrive on spa activities to refresh the skin, and feeling relaxed at the spa. Balinese people have known since the first scrub. The Balinese use of spices and local herbs for freshness and their health. Parents in Bali is maintaining the tradition of using spices that have been mixed for treatment. Scrubs in Bali is often called by the name Boreh. Boreh is a mixture of different kinds of medicinal herbs, mashed and mixed with a little water. Its use is done by rubbing the ingredients that the body gets hurt. Are now often used when doing spa. But this time the spice in Bali has developed its use for spa services. Almost all spa services in Bali offers different concoctions among its competitors. Although the actual spa in Bali all have the same goal.